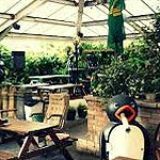 The Spotted Dog is a fantastic Irish pub where you can find traditional and contemporary live music, a fine selection of beers and ales. The Spotted Dog hosts weekly jazz nights and has a covered beer garden. Do you work at Spotted Dog? Gramophone DJ Peter Preston every second Friday. Under 18s to be accompanied by a responsible adult. What did you think of Spotted Dog? This is the best pub around! great atmosphere, great people and a great beer garden! Hate this pub. A completely non child friendly establishment. The Landlord doesn't seem to care if his regulars use expletives in front of small children which is what happened when we went there for Classical Sunday. Disgusting pub. Don't waste your money ! This Irish pub is full of character and hosts live music, live sport, lots of knick knicks on the walls and a warm welcome. 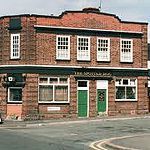 At the moment this pub is mostly known for the protracted battle with the council and three local residents regarding noise levels. Being an Irish pub with a tradition of hosting Irish music this row has become a major sticking point and is even threatening the future of the place. But, for the time being, this is a homely and friendly local boozer split into three areas. It's on the corner of Warwick Street and has a red brick exterior, leaded windows and a tiled entrance. The back room is dimmed to almost darkness when there’s sport or horseracing on the screen. You’ve got a black banquette running around the outside along the dark beige walls and there’s a patterned green carpet and small round tables with empty bottles of whisky on with candles poking out. 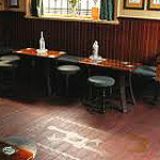 The front bar is beautifully carpeted and wood panelled and then there’s a tiny little snug by another entrance where the walls are adorned with horseshoes, pitchforks and brooms. There’s lovely beer patio out the back too with clinging ivy up the walls, plant and flower pots and green matting on a raised decked area with a green and white canopy above and heaters. The familiar old crowd, Irish or otherwise, range in age between 20-80 and the landord John Tighe and his family are a friendly bunch. It's an old community pub where everyone wants nothing more than to have a good ole knees-up. 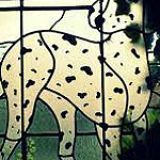 Not all the residents are in agreement with this attitude but the Spotted Dog is unrepentant. Let the good times roll. Please. On tap you’ve got Blackthorn, Tetley’s, Carlsberg, Jenning’s Cumberland, Bateman’s XB, Guinness and Ansell’s Ales. And in bottles there’s Corona, Peroni, Beck’s, Holsten Pils, Magner’s and Budweiser. Wines are £10 upwards a bottle and are mainly French, such as Bourgogne, Vouvray and Morgon. In a nice touch, they even sell 'Keep Digbeth Noisy' labelled bottles of red and wine. There’s no food. Time will tell whether this lively little place will be able to carry on the party or whether their time is up.